Gai Wu Falcons will meet Societe Generale Valley in tomorrow’s KPMG Premiership Top 4 Game of the Week (1800, Happy Valley), while SCAA First Pacific Causeway Bay play Natixis HKFC Ice in a top of the table clash in Premiership A, (1800, HKFC). Fittingly the action between Falcons and Valley, the perennial contenders for league honours, will be live-streamed on the HKRU’s Facebook page (https://www.facebook.com/hkrugby/) as the elite Premiership comes down to an historically exciting close. Borrelli Walsh USRC Tigers have been the biggest movers this season, upending defending league champions Gai Wu to finish second behind Valley on the table before the split in the 8-team competition into the Top 4 and Premiership A.
Valley started their Top 4 campaign where they left off pre-Christmas, beating Tigers and Kowloon to extend their unbeaten run to nine straight. They hold a slim edge on the table with nine points; Gai Wu are clinging to second place on five points, three ahead of Tigers, who along with Gai Wu have a game in hand on Valley, followed by Kowloon, who are yet to notch a first Top 4 win. Heading up a largely new side, after retirements and lengthy injury-enforced absences in the wake of last year’s historic double, coach ‘Sailo’ Lai Yiu-pang has been forced to reach deep into his ranks to fill gaps. Development was the focus in the early going, taking precedence over table positions: “The first round was a development phase, so I’m not putting too much emphasis on where we finished; it’s more about encouraging everyone, particularly the younger players, to seize their opportunities and prepare for what’s ahead now,” he said. Looming on the horizon is the clash against Valley, one of three games for Gai Wu in two weeks, as they will also play Tigers on Tuesday night in a make-up date after the first was rescheduled due to the absence of ten players from the clubs on national sevens duty. The results of these fixtures will largely determine how Gai Wu finishes on the league table, but Lai is positioning his team for another Grand Championships run and knows that his side will need mental toughness more than all else to stay in contention. “We struggle a bit in matching the tempo and the intensity of the game being played at the moment by Valley and Tigers. That intensity is really hard to replicate in training and we’ve really struggled to train with the full squad this season due to injuries and availability issues. “We definitely need to pick up our tempo a bit, but I think being able to handle three games in two weeks is more about our mental toughness than our physical preparation. We’ve been focusing on that, rather than preparing more physically for this stretch. With a sprinkling of injuries in training this week, getting a win over Valley will be a big ask admits Lai, but his objectives go beyond Saturday. “We have a chance to get back some of our confidence back against Valley, both defensively and in attack. The last game against them we gave up too many soft tries, and we’ve been looking at that in training. Hopefully, we can implement some of that in our game. “The competition has gotten much stronger now. In the last few seasons, if you lost once, you would potentially be out of the running, but now if you lose a few games you can still be in it, which is largely due to Tigers this season. “We’re still in it and I’m optimistic, but we need to push ourselves now to find another level, another 5% to 10% improvement in our performance. If we win on Saturday, brilliant, if we lose, we can still achieve our goals and refocus for the Grand Championship. The biggest thing is to put in a complete performance and take some momentum into the end of the season,” Lai added. Things are also heating up in Premiership A with HKFC’s hard-fought wins to start the season over Tai Po Dragons and City Sparkle, giving them a one-point lead ahead of their opponents, fellow unbeaten side Causeway Bay, in second place on nine points, on Saturday. 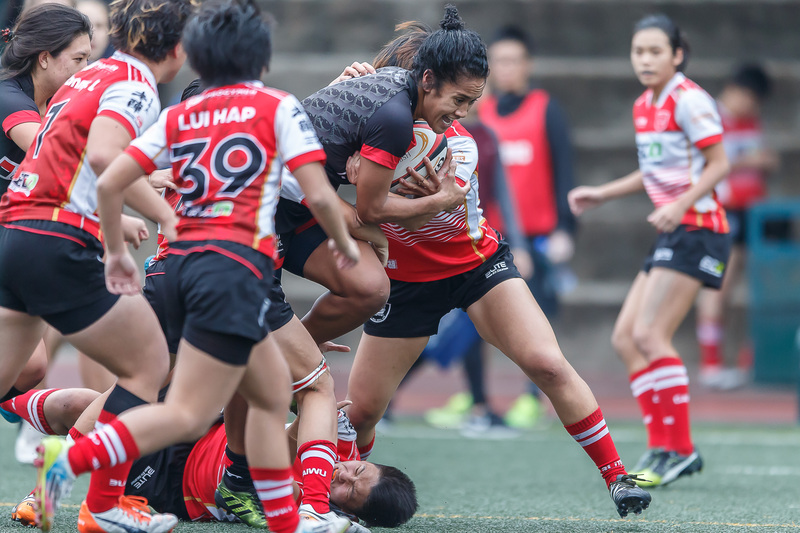 After narrowly missing out on promotion to the upper Premiership for a second season running, Causeway Bay coach Chris Lin is calling for an all-out effort by his squad to capture the Premiership A title. “It’s disappointing to be in the minor Premiership again especially after being so competitive this season in chasing that fourth spot, but now what we want to do is win it all,” he said. The game against Club will go a long way towards separating the contenders from the pretenders and Lin expects a tough battle. “It’s going to be exciting because Club are definitely one of our biggest competitors. They have really good individual players like Royce Chan and Elizabeth Musgrove and their forwards are bigger than us and more experienced, they also have some really skilful outside backs. “We need to be counter all of that and are focusing on retaining possession and working as a team more, to try and minimise the time they have with the ball. They have some really outstanding individual players, but if we play as a team we can beat them,” he added. 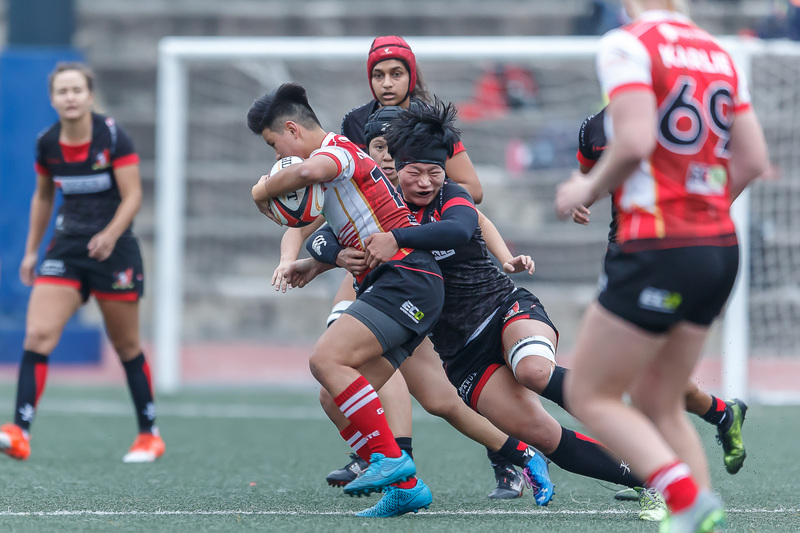 USRC Tigers will play Kerry Hotel Kowloon in Saturday’s other Top 4 clash (1800, King’s Park) while Transact 24 Tai Po Dragons will play Plastic Free Seas City Sparkle (1615, KGV) in the other Premiership A game on the weekend.